This Little Project: Farm Rich Giveaway Winner! Congratulations to Tara! 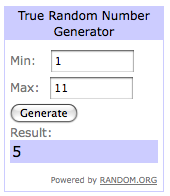 She is the winner of the Farm Rich Giveaway! You are in for some yumminess!